“I make it clear that nobody should try to make India as another Islamic country, otherwise it will be a dooms day for India and the world. I am confident that only this Government under Shri. Narendra Modiji will understand the gravity, and will do the needful as requested above and our Chief Minister Mamataji will support the national interest in all respect,” Justice SR Sen said in his judgment. While considering a petition relating to refusal of Domicile Certificate to an army recruit, the Meghalaya High Court on Monday observed that anybody opposing the Indian laws and Constitution cannot be considered as a citizen of this country. The court also urged the Centre to bring in a legislation to allow citizenship to Hindus, Sikhs, Jains, Buddhists, Parsis, Christians, Khasis, Jaintias and Garos who have come from Pakistan, Bangladesh and Afghanistan, without any question or documents. 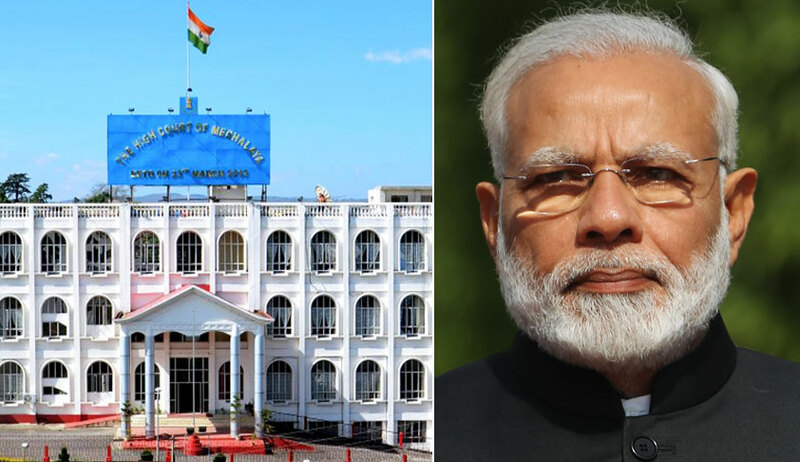 Justice SR Sen directed Centre’s Assistant Solicitor General, Meghalaya High Court, A. Paul to hand over a copy of the judgment to the Prime Minister, Home Minister and Law Minister for their perusal and necessary steps to bring in a law to safeguard the interest of these communities. “This Court expects that Government of India will take care of this judgment in the historical background and save this country and its people,” he observed. Further, the government of Meghalaya was directed to follow the guidelines laid down by the court in Rabbe Alam v. State of Meghalaya & Ors. for grant of domicile certificates. The court reiterated that a person residing in the State of Meghalaya permanently or at least for the last five years has every right to receive a domicile certificate. As for issuance of a Permanent Resident Certificate (PRC), it clarified that it should be granted to any person residing permanently in the State of Meghalaya for the last 12 years, without any further questions. “However, if any doubt arises, the Deputy Commissioner may ask for a Police verification to determine how long he has been staying in this State and PRC cannot be issued only for education purpose but it should be applicable for all purposes. I make it further clear that domicile certificate or PRC is not meant only for joining the Army or Paramilitary Force or Education purposes, it is to be granted for all purposes,” it added. Justice Sen began his judgment by tracing India’s partition and asserting that since the division was on the basis of religion, India should have been declared a Hindu country too. The court then appealed to the Prime Minister, Home Minister, Law Minister and Members of the Parliament to pass a law allowing Hindus, Sikhs, Jains, Buddhist, Parsis, Christians, Khasis, Jaintias and Garos from Pakistan, Bangladesh and Afghanistan to be allowed to become citizens without production of any documents. As for the National Register of Citizens (NRC) process being undertaken in the State of Assam, Justice Sen was of the view that the process is defective “as many foreigners become Indians and original Indians are left out which is very sad”. The judge noted that the detention camp at Assam was housing people in inhuman conditions, and appealed to the Hindu people of the Barak Valley and the Assam Valley to come to an amicable solution, “because our culture, traditions and religions are same”.